Open to everyone including the parents. The class will be catered to you. The hardest part is not the class . . . it's showing up. Set the goal and accept the challenge. Traditional Shotokan Karate "Makiwara Training" at sunset. this is our New Year's Resolutions event. Time to rebuild your mind, body and spirit to carry you through the New Year. If you can't make it during the week then please, please, please make sure to attend Saturday, January 19th 6:00am - 7:00am. It will be the ONLY class of that day. 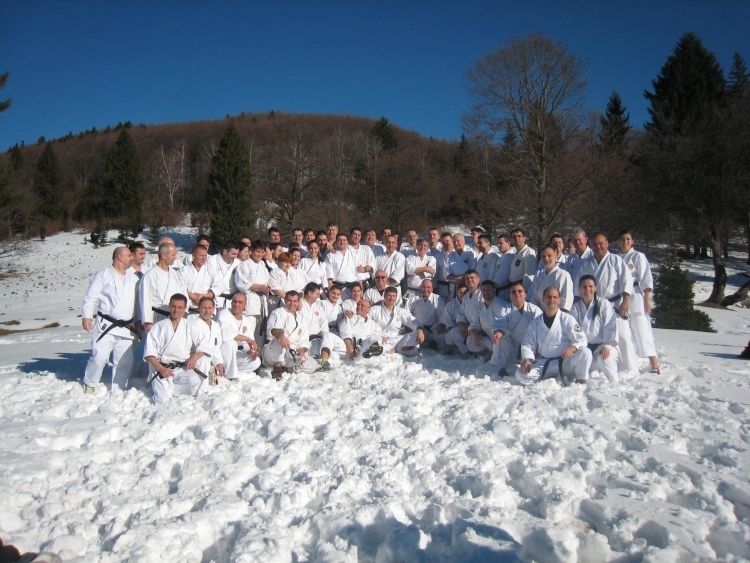 Kangeiko is a tradition in budo whereby people start the new year by practicing in the early morning cold for a few days. It's wonderful and energizing to start the new year by doing something you love! 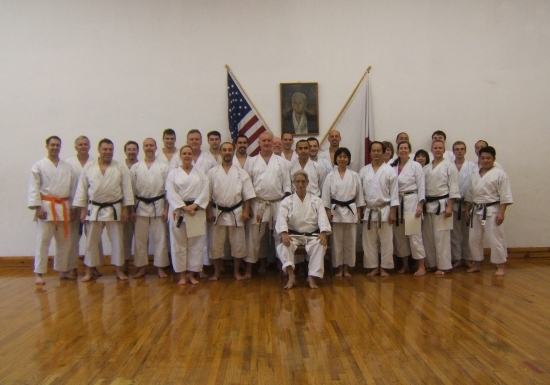 In attendance from Manhattan Beach Traditional Karate are Lisa, Satsuki, Tom, Tony & myself. Can't make it all six days? do five! Can't make it five days? do four. Can't do four? do three! Can't do three? do two! Cant't do two? do one! Can't make it Monday through Friday due to work then do Saturday. Can't make it this year . . . then please next year! Not sure till the last minute if you can make it or not? Then just show up! We hope there will be more locations as to allow more to participate. Host a "Special Winter Training" allow more to particapte during the week. Then everyone converge into one or a couple of main locations. Greater participation through greater accesability. Continue to pass on & grow the Tradition. 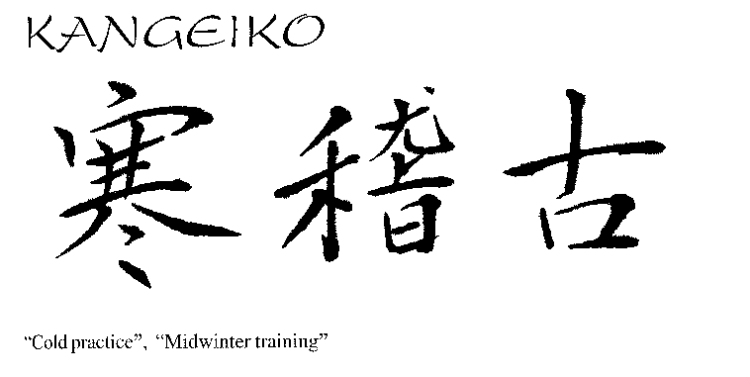 During Winter Training Week, just before one of the Advanced, night class was going to start. There were only a couple of us on the floor. 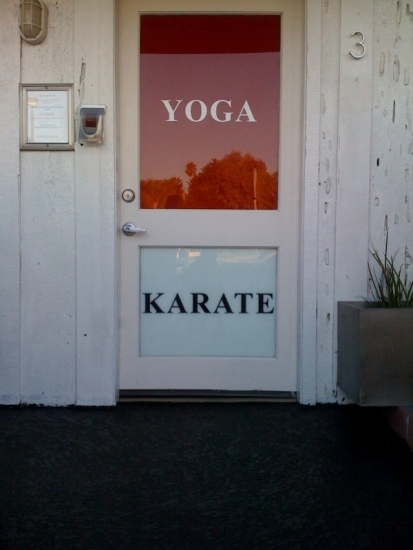 Sensei was standing in the corner near the large front window. He was rubbing his hands warming up, he was loosening up, his hair was not as perfectly combed as it would be in the early morning class. He gave a little yawn and said "nobody show up? what's the point?" He gave the short laugh and smirk/ smile (you know the one).He was referring to that "Winter Special Training was not to replace our regular training with the early morning training. But it was to add to our regular training. I learned how "Special it all was. 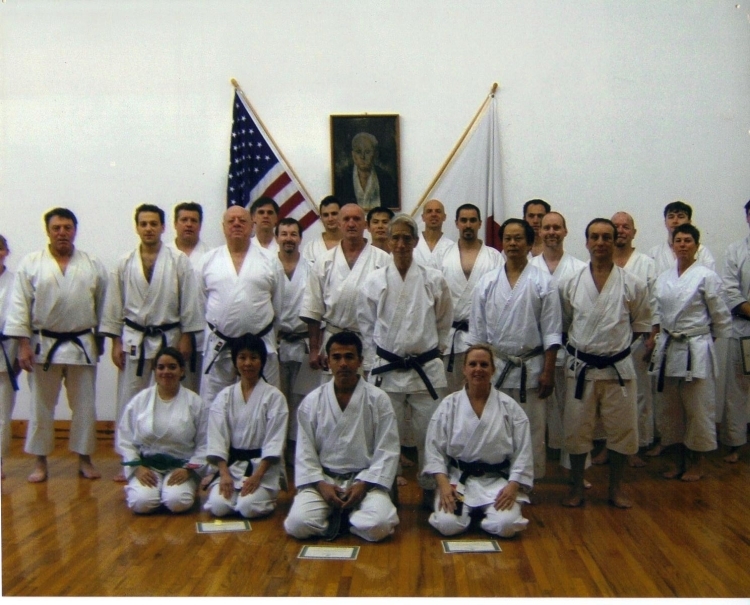 Imaging he had been to everyone since 1961and taught classes, plus the ones when he was in Japan. Continue to pass on and grow the Tradition. If you have a story to tell please share. Tom, Eliza, Jordan R. & Curtis - We had a 33.33% increase in attendance over last year. We'll shot for 10 next year (150%). Basic warm up, Sochin (fudo dachi) stance intro, Sochin Kata. Connection & Timing drill. Basic warm up, Sochin (fudo dachi) stance intro, Sochin Kata. Our second annual Winter Training. Last Year in our first year we had 3 people participate (Tom, Jacob & Eliza). Plan to attend this Traditional Karate Event. Help make this a bigger year! We have 4 persons signed up so far! Step and be number 5! Plus we'll have 3 part timers. the rest of the week the location to be announced. For the week or a day or two, if you can make please join us. Suprise us and just show up! Use this page to keep up to date with the days activites. First class wiil be at the studio - How many people can you fit in a Volkswagon? A time of re birth & renewal. A time to get back on track from the diversions of the past year. Winter training is a time to get back into shape . . . mentally, physically and to strengthen your spirit to carry you through the New Year! If you miss this year . . . you'll have to wait till next year! Beginner beginners welcomed, no experience necessary! Good old fashioned Karate Training! 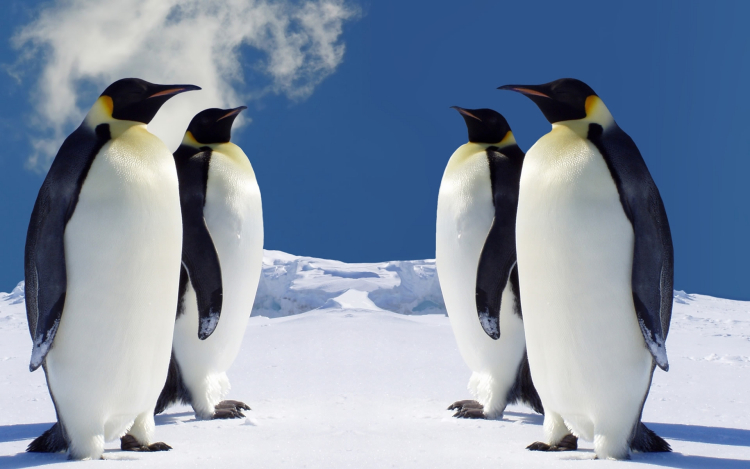 Bring a friend & partner up!